This flat, groomed skiing trail is a convenient option for those wanting a quick workout close to town. 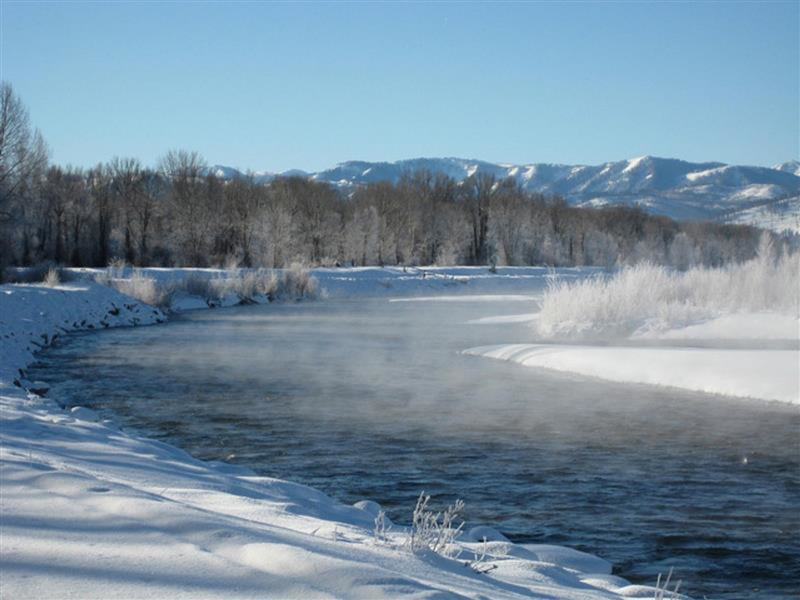 For those looking for a nice, flat, groomed skiing trail with stunning views of the Tetons, the Snake River dike can't be beat. Ideal for a casual ski or a lunch time workout, this trail is popular for its accessibility and scenery. Users can ski in the track, or skate for a couple of miles before coming to a loop at the end of the trail. After you get past the first mile or so, the amount of skiers, runners and dog walkers thins out dramatically, so if it seems busy at first, just be patient. For runners, this area is so heavily trafficked it's possible to run on it sans snowshoes most winter days. Expect lots, and lots, of dogs. While a busy trail, it's a fun place to get in a quick workout. If you have a friendly pooch, they will have a blast interacting to the canine locals. It's the perfect place to go when you only need an hour or so out in the winter wilderness without having a long drive or tedious slog to get into the good stuff. Social skiers, snowshoers and dogs will all love the friendly, busy vibe. Also, those eager to bang out a quick workout will be happy to get in their miles and be on their way without a lot of hassle. To get there: Driving West on Highway 22 from Jackson, turn right just before you cross the bridge over the Snake River. Park in the lot, and follow the groomed track along the northwest edge of the river.